Fil was born in Bulgaria in 1946, escaped communism in 1964, spent time in a political refugee camp in Greece and came to USA in 1965. 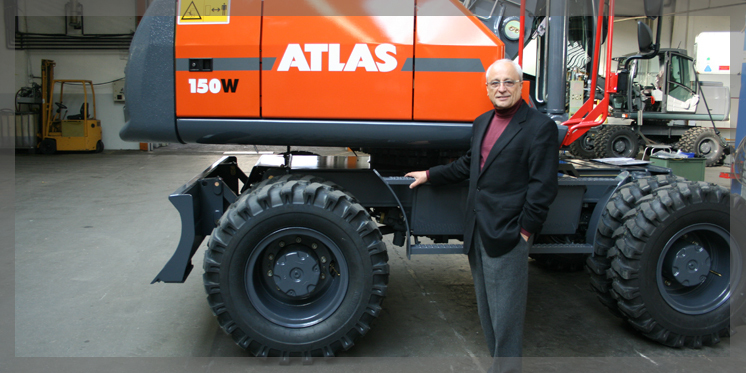 Fil Filipov officially retired from Terex Corporation on January 1st, 2004. He currently owns several companies around the world, finances some new start ups and does consulting work for number of enterprises. Fil and his wife split their time between Florida & Paris. Fil was President & CEO of Terex Cranes, Executive Vice President of the Company, President & CEO of the Company's Koehring division and Managing Director of Clark Materials Handling Company in Europe. During his 11 years with Terex, Fil was involved in over twenty acquisitions and few more since his retirement. He restructured and revived some well known brand names: Koehring, P&H, PPM, Simon, Demag, Shaeff, Tatra and many more. Prior to joining Terex, Mr. Filipov served as Divisional President of Tenneco, and as Vice President, Construction Equipment in Europe for Case Corporation. He started his carrier in 1966 as an hourly shop floor employee, working for International Harvester Company in Chicago. Fil Filipov is the author of the book "FILOSOPHIES", a Bulgarian Refugee's Autobiography and Provocative Approach to Business Success".